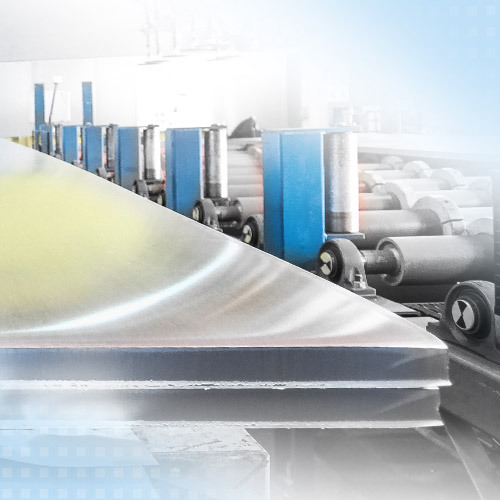 It is important to know the thickness of the plates for the manufacture of aluminium plates. The non-contact profile measuring system measures the profile of the plates using a capacitive sensor. At the same time, the width of the plate is determined during the measurement. The reversing rolling stand and the following roller stands can be better adjusted using the data obtained. The system is integrated in the existing roller track. Installed directly before the cropping shear where the plate is stationary for the cut, the production process is not impaired.